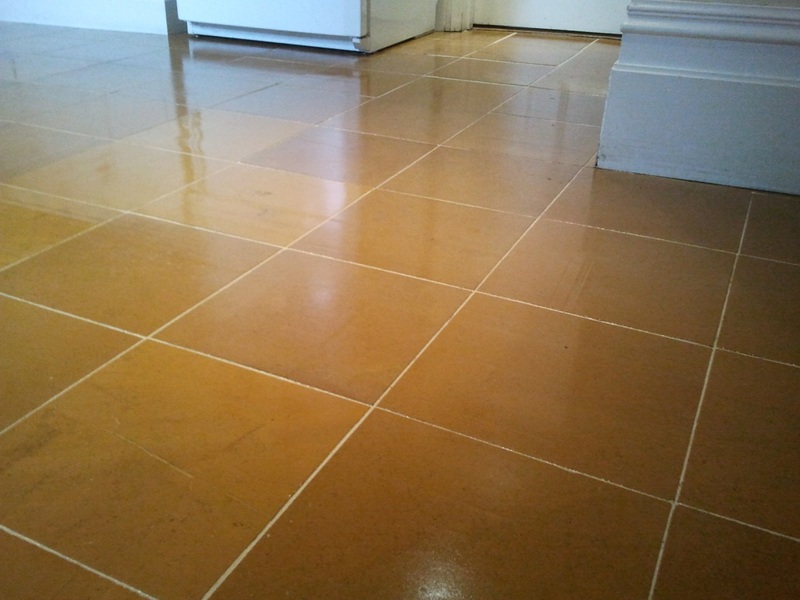 We were asked to take a look at cleaning and re-sealing an Indian Orange Slate floor at a property in London, the owner had struggled to find someone who would take the job on as they were unsure what they were dealing with and so called in Tile Doctor. 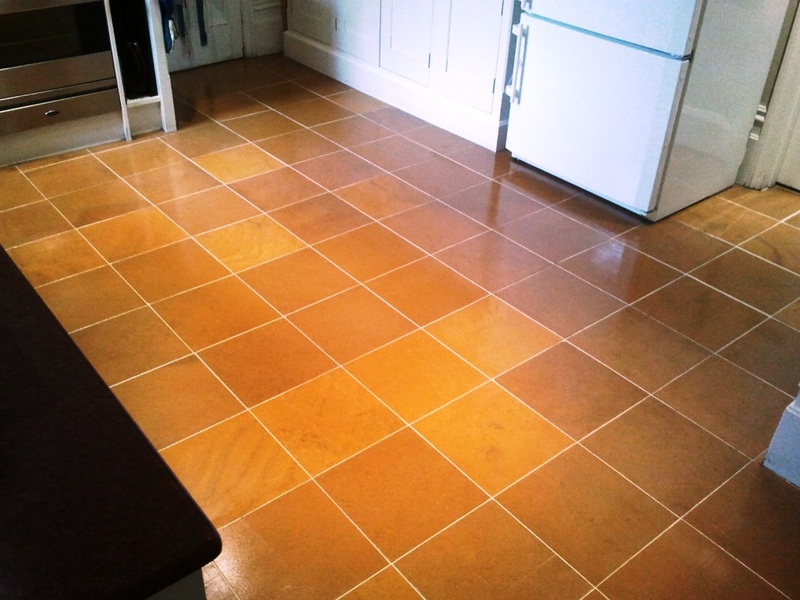 This isn’t surprising as we do find that many so called Tile Cleaning companies only take on straight forward cleaning jobs where they can get in and out quickly without fear of complications. 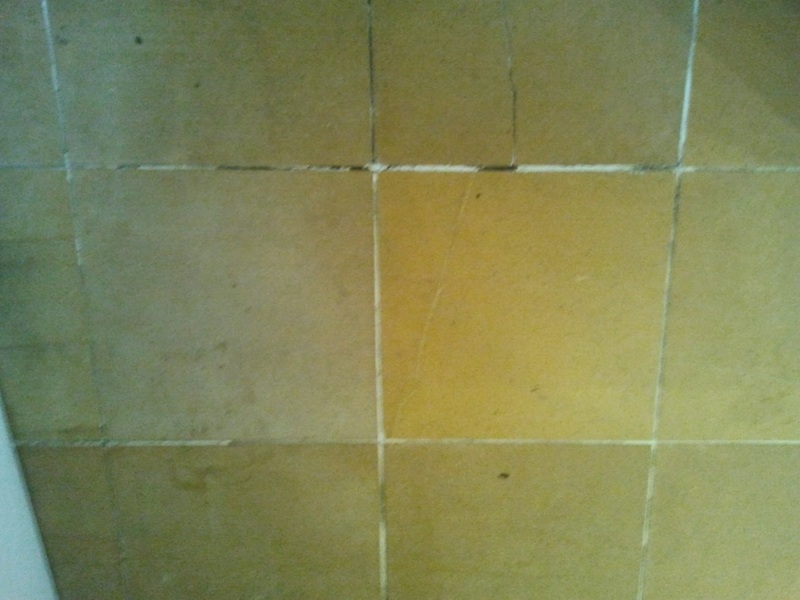 The floor was in reasonable condition and had simply dulled as the sealer had worn down over time and dirt became trapped in the pores of the tile and grout. 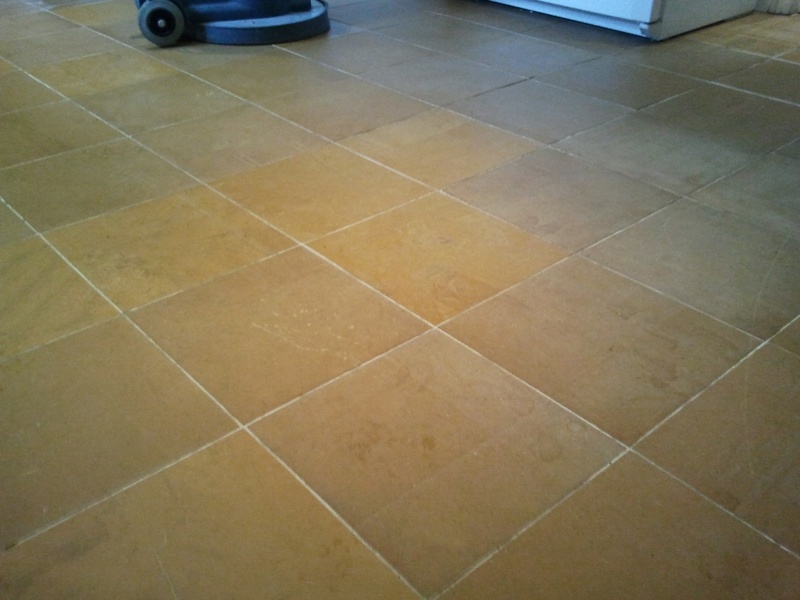 We cleaned the floor using a strong dilution of Tile Doctor Pro-Clean Tile and Grout cleaner in conjunction with a scrubbing machine fitted with a black pad. This removed the old sealers and was followed with a thorough deep clean using our powerful truck mount high pressure cleaning machine to remove any residue soils and sealers etc. We left the floor for a couple of hours to dry and then we sealed it with six coats of Tile Doctor Seal and Go which is an ideal sealer for slate floors. We left the floor for thirty minutes in-between coats to allow it to dry. Once that was complete we attached a white pad to our buffing machine and polished the floor in order to harden the sealer and bring out the shine. The effects was quite dramatic and the customer who was obviously pleased with the results commented “Wow look at my beautiful floor, what a difference thank you very much for such a good professional job”.